Margaret "Peggy" Rozga is the Wisconsin Poet Laureate for 2019–2020. A life-long resident of Wisconsin, Rozga lives in Milwaukee. She earned her BA at Alverno College and an MA and PhD in English at the University of Wisconsin–Milwaukee. 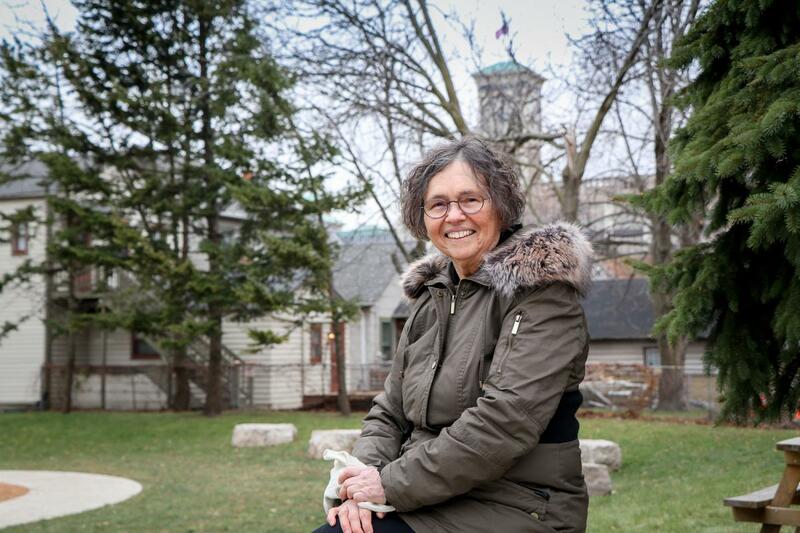 An emeritus professor of English at the University of Wisconsin–Waukesha, she continues to teach a poetry workshop for Continuing Education at what is now the UWM–Waukesha campus. Rozga has also been a resident at the Sitka Center for Art and Ecology and at the Ragdale Foundation.Her work was nominated for inclusion in the 2005 Best New Poetsanthology and for a Pushcart Prize. Rozga served as an editor for three poetry chapbook anthology projects, most recentlyWhere I Want to Live: Poems for Fair and Affordable Housing (Little Bird Press 2018), a project of the 50th anniversary commemoration of Milwaukee’s fair housing marches. Her poetry craft essays have appeared in the Whale Road Review, the Wisconsin Fellowship of Poets Museletter and other venues. Her poems have been included in eight collaborative exhibits with visual artists and other poets. In May of 2011 the Wisconsin Academy announced their stewardship of the Wisconsin Poet Laureate program to ensure its survival and support the Wisconsin Poet Laureate Commission after then-Governor Scott Walker eliminated state support for the position. Created by Wisconsin Governor Tommy Thompson in Executive Order 404 on July 31, 2000, and continued by Governor Jim Doyle, the Wisconsin Poet Laureate Commission's purpose is to conduct the Wisconsin Poet Laureate selection process, assign responsibilities to the elected poet laureate, and assist that individual in performing official duties. Today the Commission is comprised of volunteers who administer, promote, and maintain the state’s Laureate program. Commission members represent diverse populations across the state and the member organizations that support the laureateship: the Council for Wisconsin Writers, Wisconsin Academy,Wisconsin Center for the Book, Wisconsin Fellowship of Poets, Wisconsin Humanities Council, Wisconsin Arts Board, Chippewa Valley Writers Guild; and Write On, Door County. Charged with contributing to the growth of poetry in this state the Wisconsin Poet Laureate arranges and/or attends at least eight statewide literary events each year as requested by the Commission. For more information on the Commission, visit the Wisconsin Poet Laureate website. Who is the current Wisconsin Poet Laureate? How do I contact the Wisconsin Poet Laureate? Who is on the Wisconsin Poet Laureate Commission? Who were the previous Wisconsin Poets Laureate? How can I apply or nominate someone to be the Wisconsin Poet Laureate? How can I donate to the Wisconsin Poet Laureate Fund?